We did sit outside on the KOA deck and watched Close Encounters. Once the sun went down the temperature dropped by about thirty degrees, I think. By the time the movie was over I was shivering uncontrollably. We were both cold enough to turn on the furnace before getting into bed! Today was sunny and warm again, without being too hot. We left Devil’s Tower with the intentions of heading southwest, towards San Francisco. But after looking at the map and seeing that it would be only about 100 kilometres longer to go northwest to Yellowstone first, we both agreed that it would be a shame to miss it when we were that close, so we changed our route. We took I-90 to Gillette and on to Buffalo. We thought we might reach Cody tonight, close to Yellowstone, but somewhere between Gillette and Buffalo the transmission made a few hiccups, which concerned Jim. To be safe, we stopped in Buffalo to have it checked. The young fellow checked the fluid and said it was good, but the transmission probably needed servicing, maybe even a flush. He could do the general service for about $150 (but might not get to it today). He suggested we go to Sheridan to a transmission specialist. Because the hills were already starting to slow us down, we’d planned to take the more southerly route to Cody, the one with the lowest grade climb. Going through Sheridan was just the opposite. We debated what to do and drove past the exit to Sheridan. It turned out to be the right choice. We had no more issues with the transmission even during the climb through the high hills of Wyoming. Perhaps it just needed a cool down. We did have to take the hills very slowly though as our motor home isn’t a powerful one. As a result, we’ve stopped for the night in Grey Bull, an hour or so short of Cody. Soon after we were set up in our site, another motor home pulling a big bike trailer parked next to us. Jim got talking to them and learned that they had taken the more northerly route, through Sheridan. The driver said, “I’ll never do that again! I overheated my engine a couple of times!” This confirmed the wisdom of our decision. Despite the slow drive, the hills were breathtaking; blue/grey and pink rock, high peaks, deep canyons. 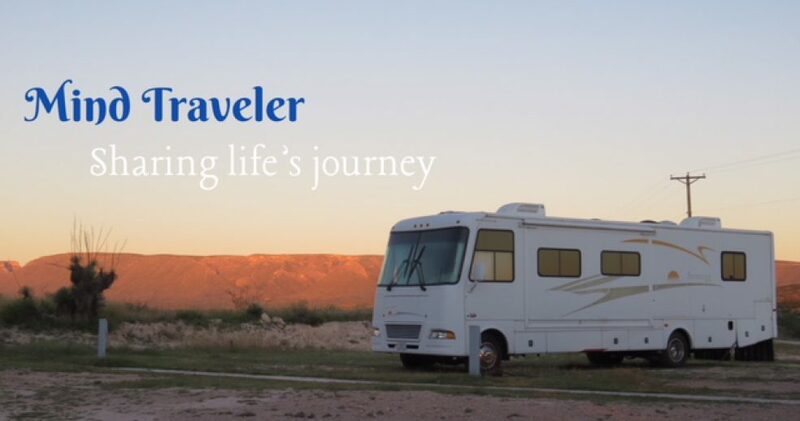 I thought of the sign that Jim’s daughter had given us and wished I’d brought it with us for the RV: “Life isn’t about the number of breaths we take, but the moments that take our breath away.” We are certainly experiencing many of those moments on this trip. We are truly blessed. 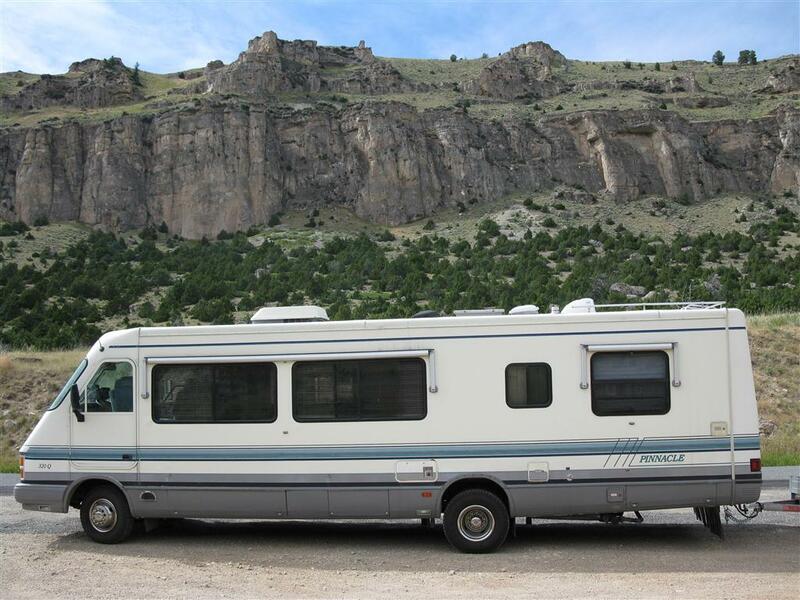 This entry was posted in Uncategorized and tagged RVing, travel, Wyoming. Bookmark the permalink.